Triangle Business Journal honors the president of Tonic Design + Tonic Construction. Katherine Hogan, AIA, partner and principal of Tonic Design + Tonic Construction in Raleigh, has received a 2014 Women in Business Award from Triangle Business Journal (TBJ) in the “Future Star” category. Hogan joined the Raleigh design-build firm in 2008. Since then, Tonic Design + Tonic Construction has completed over 50 projects and received 20 major design awards and other honors, including a national American Institute of Architects (AIA) Small Projects Award for the Lowe’s Pavilion in the North Carolina Museum of Art Sculpture Garden. Since Hogan joined the firm, Tonic has become nationally known for Modern, cost-effective, environmentally sustainable projects, especially residential and small-scale commercial projects. 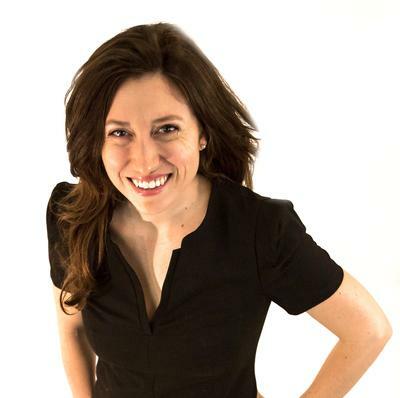 Katherine Hogan is a regularly invited juror for undergraduate and graduate student design reviews at the NC State University College of Design. She has been a guest juror at her alma mater, the Syracuse University School of Architecture, where she also serves on the School’s Advisory Board. Hogan has been an active member of the AIA Triangle Design Awards Committee for four years and, this year, is serving as vice chair of the committee. She is also a member of the North Carolina Museum of Art’s Contemporaries Board, and she actively participates in events sponsored by North Carolina Modernist Houses, a non-profit organization dedicated to Modernist residential design. Nearly 400 business leaders from across the Triangle gathered for lunch at the Raleigh Marriott City Center to honor this year’s Triangle Business Journal Women in Business Award winners. For more information on the awards program and the ceremony, click here. For more information on Katherine Hogan and Tonic Design + Tonic Construction visit www.tonic-design.com. The private Cedeno residence will be open for public touring on April 9th. 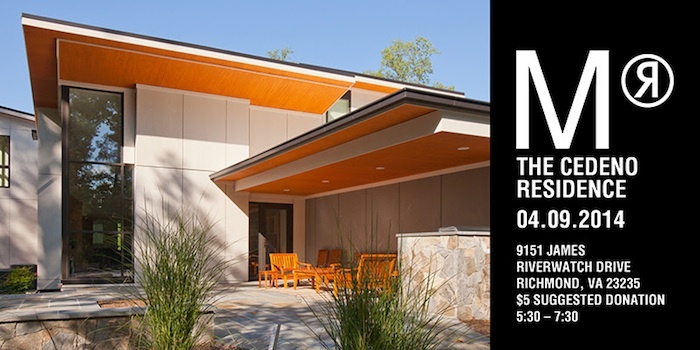 April 7, 2014 (Raleigh, NC) — The Alex Cedeno residence in Richmond, Virginia, by Tonic Design + Tonic Construction, an award-winning design-build firm in Raleigh, NC, will be the featured property during Modern Richmond’s April Exchange Tour on April 9 from 5:30 to 7:30 p.m.
Modern Richmond Tours highlight examples of both residential and commercial properties in Richmond that employ Modernist techniques. Modern Richmond events are free and open to the public, but a $5 donation is appreciated. Completed in 2011, the Cedeno home’s design integrates modern construction materials and sensibilities with high function. Key priorities were to ensure aesthetic integration with the surrounding terrain, to maximize views of the James River from the master bedroom and office, and to create an integrated, open space on the main floor and outdoor patio conducive for entertaining. The house features a spacious finished basement that includes a wine cellar, an artist’s studio, a gym, and a large music/media room designed by Rives Audio, an acoustical engineering firm in Iowa. The second floor houses the master suite and two additional bedrooms and baths. Sherman Associates PLC built the house in close collaboration with Tonic Construction. Homeowner Alex Cedeno will speak during the tour at 6:15. Participants are free to tour the house before and after his brief talk. The Cedeno house is located at 9151 James Riverwatch Drive, Richmond, VA 23235. For more information on the tour, go tomodernrichmondtour.com/news-events. For more information on Tonic Design + Tonic Construction, go to www.tonic-design.com. Modern Richmond is committed to the concept of understanding and appreciating modernism in all of its forms. The co-founders believe that Richmond has the resources and the potential to be a significant platform for modern projects. Their hope and mission is to promote and explore these original expressions of modern aesthetics in a way that both engages and delivers modernism to a larger audience. For more information: http://modernrichmondtour.com.